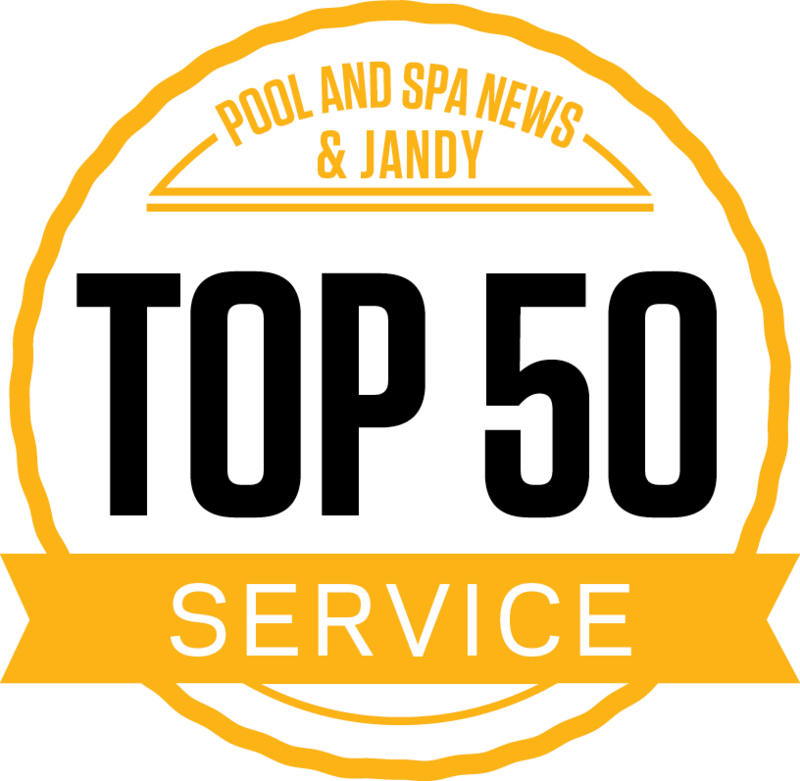 Fronheiser Pools > Blog > Backyard Fun > Can My Children Use A Hot Tub? You work long hours. A LOT of long hours. The daily grind wears on you, depleting your emotional and physical energy. So, when you come home at night we know there are only a few things you want: rest, relaxation, refreshment and relationship. When you think about making an investment in these areas, do you know what item should be at the top of your list? We will whisper a little secret to you. It’s a hot tub! But you want something your whole family can enjoy… Can your children use a hot tub, too? Hot tubs are excellent investments for families with children or grandchildren. They are places where you can gather and connect with the ones you love the most. With just a few safety guidelines for children, your hot tub can become one of your favorite gathering places. And the kids can enjoy the hot tub just as much as you! Hot tubs can be fun for the whole family! By following these basic guidelines for kids, you will ensure that your most precious treasures are well taken care of and have a great time during your family’s hot tub time. Supervise those sweet little (and not so little) ones: The main concern for any child around any body of water is drowning. Your hot tub cover should always remain locked when not in use. Children in and around the spa must be supervised at ALL times. They should be able to reach the bottom of the hot tub when standing. Also, remind little ones that hot tubs are not for underwater swimming and the water is not for drinking. If you own a hot tub, please know where your safety cut-off switch is, in case of an emergency. Close supervision will ensure that everyone is safely enjoying their family spa time. Set the water temperature for kids: Temperature settings are another safety concern for children. Little bodies retain the heat and are unable to regulate their body temperature like adults can. Because of this, it is advised that infants and toddlers refrain from hot tubbing. For older children, a hot tub set between 98 and 102 degrees is much safer than the 104 degree default setting of a spa. Still worried about the water being too hot? Try our amazing CoolZoneTM technology. 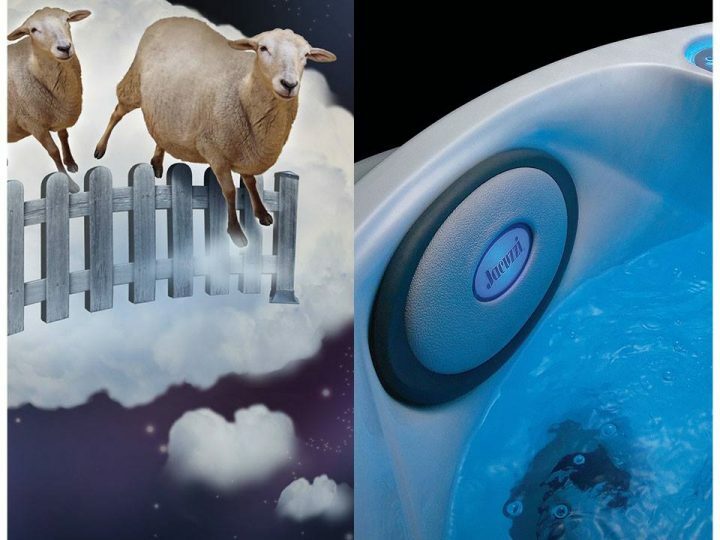 Available on some hot tub models, CoolZoneTM can transform your spa into a cool tub! This is perfect for kids or grandkids who want a fun place to relax, play, and splash. 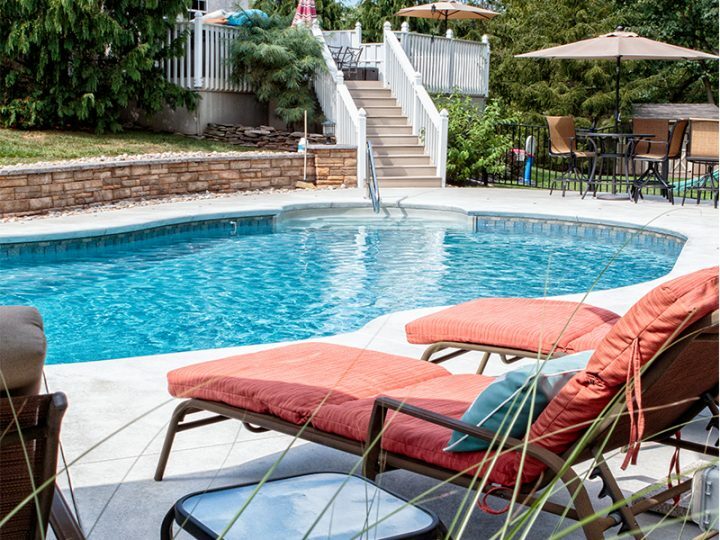 You’ll also love it during those hot summer months, where you can take a cool dip during the day and heat your hot tub back up in no time during the night. Avoid full submersion: Hot tubs with raised ledges or benches can also help regulate kid’s body temperature through partial submersion. When kids keep their upper body out of the water, they will be able to better avoid overheating. They’ll get to enjoy all of the things that the bigger people enjoy and participate in all of the family fun! Hydrate, hydrate, hydrate! Keep those sweet kids hydrated with their favorite drink in a plastic cup or drink pouch. They will love the extra treat and you will love that they are safe and getting the liquids they need. It’s a win-win! Plan to have a TON of fun: There’s so many great ideas for hot tub fun with kids. From deep life-conversations to silly and safe water games, there’s no end to the activities that you can plan with your kids in your hot tub! 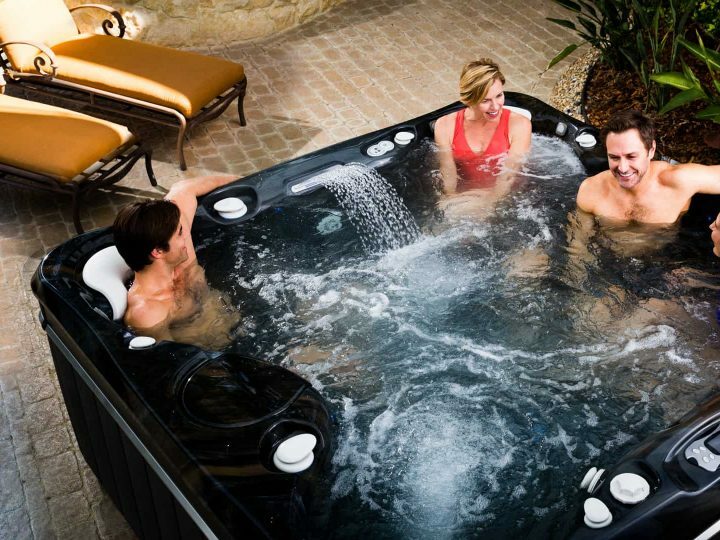 Investing in a hot tub is a wonderful idea for your whole family. 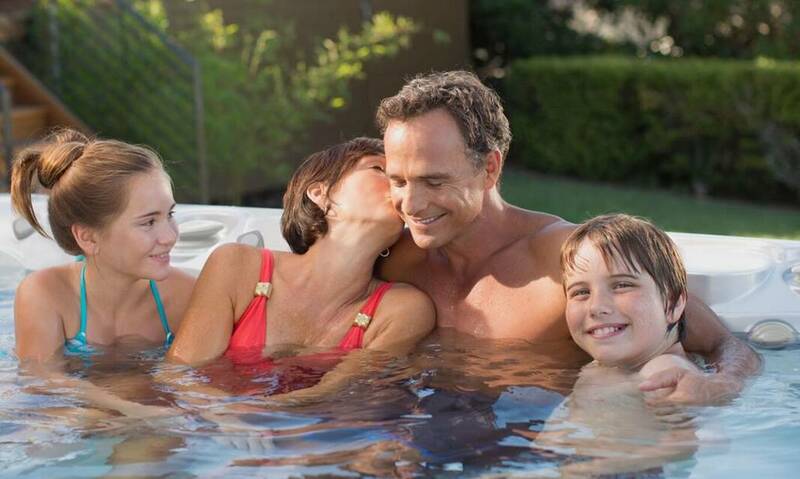 From kids to parent, from teens to grandparents, your hot tub will be a gathering place for those of all ages. Are you ready to take the plunge? 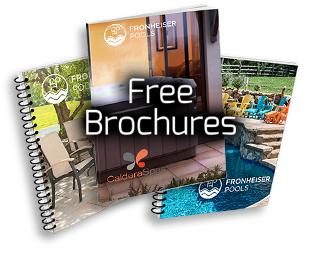 Fronheiser Pools offers two convenient locations to make all your hot tub dreams become reality. We would love to match you with your perfect spa model. Come see us today and bring your whole family! We know that your new spa will transform your life in all the ways that matter.